The android devices and the tablets are, no doubt, really smart. They provide the sleek interface with endless possibilities to make the proper use of the hardware in multiple ways. The only drawback that is prominent is poor battery life. The quality android Smartphone are costly and are not within the reach of the common man. More than 64% of the people in the whole are suffering from the poor battery of their devices. But, why others are not suffering from this trouble. Obviously, they use battery saving apps. Let’s have a look at top 10 battery saving apps for Android. 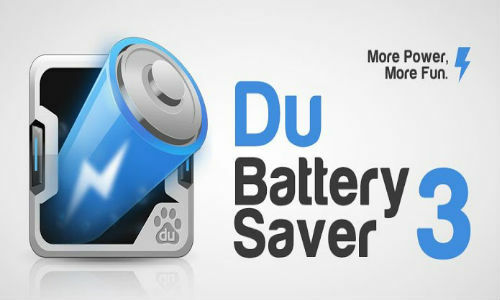 The DU Battery Saver 3 is top notch battery saving apps that kills the unwanted application in the background and keeps the track of the power usage. The application offers the health status, visual battery meter and offer swift and safe charging. The easy battery saver serves the great purpose of dealing with the low battery problem. The app provides multiple modes for the battery saving, including normal mode, custom mode, super saving mode and others, switching to any one of these modes will save the battery life to a great extent. The NQ battery saver is known for its quick setting access, battery monitor, custom track on the running app and lock ups. The app is efficient in saving the battery more than 40% in a single charge and use cycle. Fortunately, the app is free to install from the Google play store. This is a wonderful app that will describe the time for each of the common tasks. In other words, if you are about to use 3G access to the net, you can always look up how much time is left for the usage. Also, before playing your favorite game, it will describe the time left in that game. Battery doctor is a real expert of the android device battery. The app is famous for its one tap feature of customization and activating the required mode of the battery setting. The app will adjust the brightness and tasks on the device to save max battery. Developed by IObit Mobile Security, the app is a wonderful battery saver. Also, the app offers the pre Gameplay time to show much time is left to enjoy the game before the battery goes off. It is available at the Google play store. 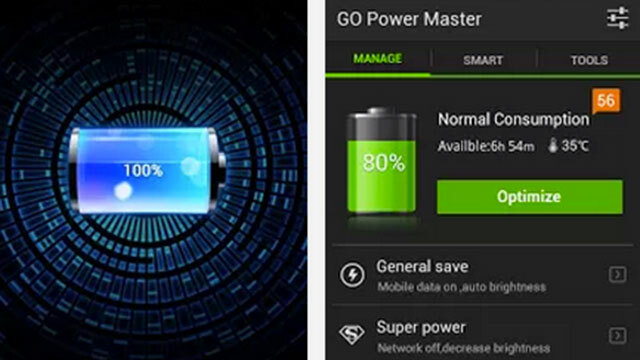 The go battery saver is the interactive app for saving the battery. Its magnificent interface and automatic features are efficient enough to more than 60% of the battery life within the single charge and use cycle. The app is customized to the marvelous theme of the juice like drink. The app is capable of toggling the toggling the Wi-Fi, Bluetooth and other application running in the background to save the battery life. The app comes with a special task killer that can work in automation as well as manually. It helps killing the apps that are sucking the battery of the device, thus, minimizing the use of batteries in the unwanted tasks. 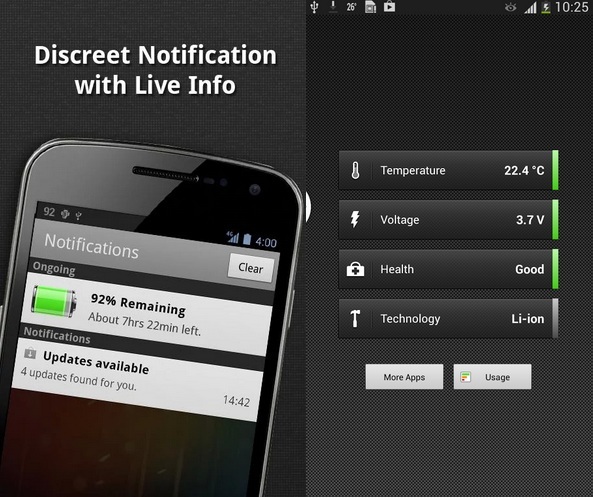 As the name suggests, the app clears the cache which is known for using max battery in the background. However, it is also famous for its sleek list of the info for the device battery, describing the data in the chart form. The above list of the top 10 battery saving app is rated ‘Excellent’ by the users. You can use any one of these depending upon your choice.